4/26/2012 – As part of its commitment to making Germany one of the world’s greenest places to host U.S. and global business meetings, the German Convention Bureau (GCB) is announcing a new, multi-city Green Meetings Seminar Program that will ultimately train and certify up to 500 green meeting consultants working in the German MICE industry. Participants will come from major hotels, leading venues and key convention centers and bring their education back not only to their co-workers and management teams but also to their clients hosting meetings in the country. The program, which will span over several years, is being funded by the German Federal Environmental Foundation, Deutsche Bundesstiftung Umwelt (DBU), and is part of an effort by the GCB, the DBU, and the European Association of Event Centers to reduce carbon dioxide emissions at events and promote green meetings. The first GCB green seminar will be May 2 – 3, 2012 at the Maritim Hotel in Frankfurt. Future events are planned in Cologne, Hamburg, Berlin and Munich. Each seminar will feature a 1.5-day course providing participants with education and best practices around the planning and implementation of sustainable meetings, conferences and events. Topics covered will include: understanding sustainability in environmental, economic and social terms; overviews of various certificate programs offered in this area; and detailed discussions around green case studies. Many practical green measures such as transportation management, venue energy and water savings options, material and collateral management and socially responsible human resources will also be covered. The new GCB green seminars are the latest development in Germany’s long-standing commitment to sustainability. 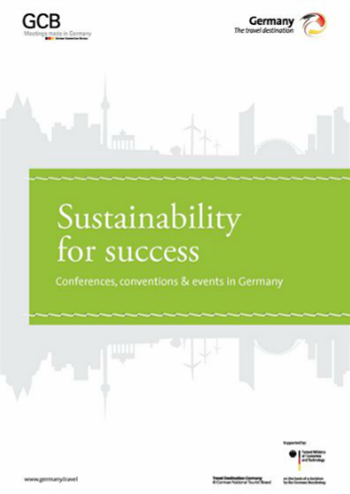 For example, 10 of the 18 European conference destinations with an above-average commitment to sustainability are in Germany, and 25.6 percent of conference hotels, congress centers and event venues in Germany have had sustainability audits conducted by independent third parties such as Green Globe, ECOPROFIT or ISO 14001. For more information on hosting green meetings in Germany, come and visit our stand (F100) at IMEX 2012, May 22 -24 in Frankfurt. A dedicated person will be onsite to inform you about the GCB’s green activities. The Germany stand is going to be the largest at the show, with over 200 co-exhibitors from all over the country. Alternatively, you can also visit our website atwww.gcb.de/ENG/germany_meetings/green_meetings.htm. The German Convention Bureau (GCB) based in Frankfurt /Main with a GCB Americas office in New York City, is a key resource for global meetings, events and incentive travel executives & planners interested in hosting business meetings in Germany. Acting as a connector to the wide range of German event service providers, venues and host cities, the GCB provides hands-on advice and support to tailor a unique meeting experience for any corporation, association or organization. The GCB is also in a unique position to help link business meetings with the values of innovation, sustainability and quality by leveraging Germany’s key industry expertise areas in pharmaceuticals, financials, automotive, logistics & transportation and technology, and its green meetings track record. 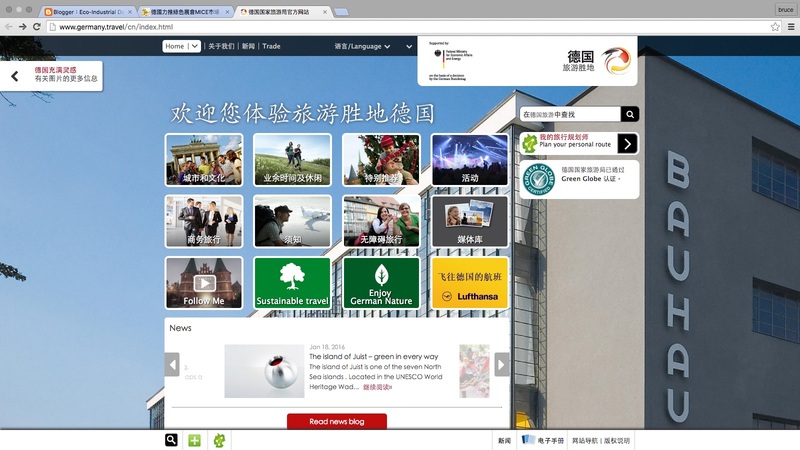 Finally, the GCB website, www.germany-meetings.com, serves as a useful online tool to search venues and vendors, find green meetings tips and tools, catch up on the latest news about Germany meetings, access travel guides, and much more. GCB’s 230 members include leading hotels, convention centers and destinations, rental car firms, event agencies and service providers of the German meetings and conventions industry. Convention Bureau Dusseldorf, Darmstadtium Science and Convention Center, and Maritim Hotels are Preferred Partners of the GCB. As Strategic Partners, Deutsche Lufthansa AG, Deutsche Bahn AG, and the German National Tourist Board (DZT) support the work of the GCB.